You and your friends will love this combined location package from the Econo Lodge Riverside and the Spa at RiverStone Resort! The Girlfriend Getaway Package includes a stay at the Econo Lodge Riverside with a huge Indoor Pool & Hot Tub, deluxe room accommodations, free continental breakfast, and more! 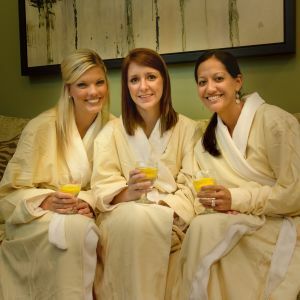 You will enjoy a luxurious Spa day at the Spa at RiverStone Resort that includes a 50 minute Relaxation Massage, a Classic Manicure, and Classic Pedicure for each guest! What a perfect way to spend some time with friends! Simply book your stay with Econo Lodge Riverside and then call (866) 388-9090 to set up your Spa Services. Advance reservations are required. Spa availability varies. Hotel and Spa Services will be charged separately. If you need additional assistance in setting up your Girlfriend Getaway Package, please call 865-286-0545 or email packagesdirector@shular.com.